What is GW Writing Center? GW's Writing Center is a welcoming, professional environment within which members of the GW community can receive dedicated attention to their writing and research projects. The service is FREE to all GW students staff and faculty. Can distance students make an appointment with the GW Writing Center? Yes, the GW Writing Center offers services for Distance Learning. 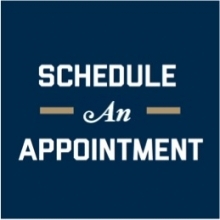 ​How to Schedule your appointment: Use the online system and send your paper (at least 24 hours in advance) to gwriter@gwu.edu. Include the name of your tutor, time of your session, and number you will be calling from. Yes, Non-Native English Speaking Students: For specific writing help as a non-native English speaking student, please look into scheduling your appointment at the Language Center. GWSPH, SON, & SMHS - Sign up for consultations with health sciences specialists; appointments available at Himmelfarb Library and the Ashburn campus. APA Publication manual of the American Psychological Association 6th ed. by American Psychological Association. Legacy edition of RefWorks and still in use. Launched and available as of 2016. Both RefWorks Legacy and RefWorks New are available via Himmelfarb Library.